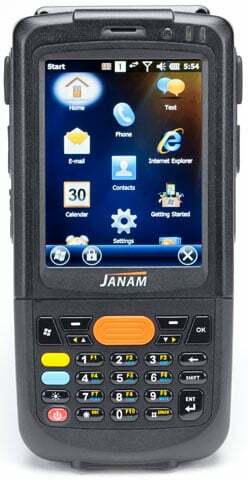 Buckeye Mountain selected Janam’s XM2-RFID for Rail because it is the lightest, fastest and most affordable RFID-reading solution for the railroad industry. Buckeye Mountain helps rail and intermodal companies accurately and efficiently track and monitor equipment. The XM2-RFID for Rail is specially-designed to read the unique AEI RFID tags required on all railcars in North America and used globally as well. The XM2-RFID for Rail offers best-in-class read range and provides Buckeye Mountain’s customers with the power and performance needed to excel in freight and rail operations. With its integrated 1D/2D barcode scanner, the XM2-RFID for Rail provides Buckeye Mountain customers with a versatile solution that addresses virtually all data capture needs.